Mixing neutral colors for work can seem a little bland at times, but there are different ways to spicy up your work style while still wearing neutral tones. Some of the ways to wear neutral colors for work without looking boring is by mixing different neutral tones, color shades and textures. In today's post, you can see that I am mixing dark brown colors, with beige and a lighter shade of brown. By doing so, this creates a more fun and different look for work neutrals. You can also spicy up your work style with bold accessories that complement the colors and look. I added a unique dark brown bag and ivory rancher hat. 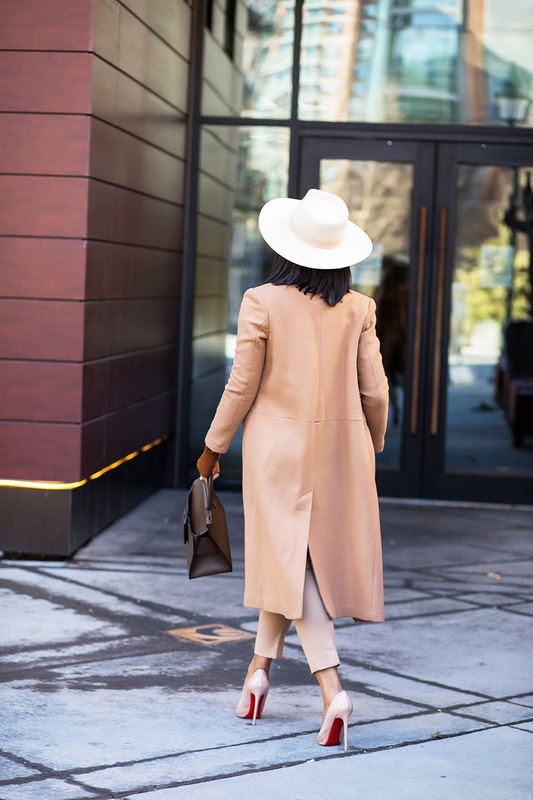 Depending on your work environment, the hat can be a transitional happy hour look after work. Love the neutrals...very well put together as always!!! !